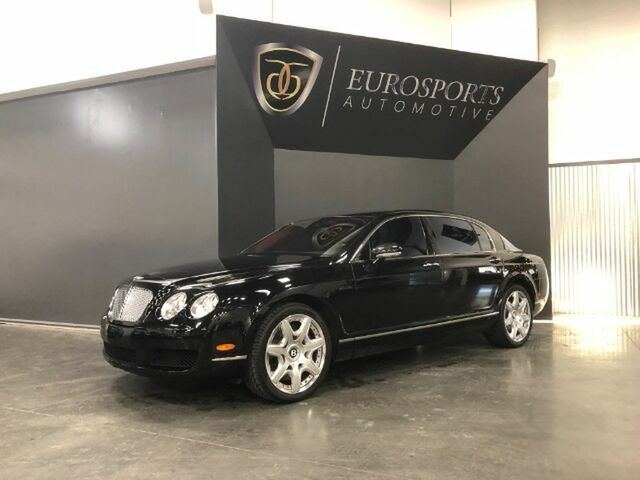 You can find this 2006 Bentley Continental Flying Spur and many others like it at Eurosports. When you purchase a vehicle with the CARFAX Buyback Guarantee, you're getting what you paid for. Sophistication & understated luxury comes standard on this Bentley Continental Flying Spur . Well-known by many, the Continental Flying Spur has become a household name in the realm of quality and prestige. Savor the satisfaction of safety in any condition with this AWD Bentley Continental Flying Spur. Superior acceleration, unmatched traction and stability as well as a luxurious interior round out the impressive features of this AWD Bentley Continental Flying Spur. You can tell this 2006 Bentley Continental Flying Spur has been pampered by the fact that it has less than 39,807mi and appears with a showroom shine.